The mid-sized sedan market is jammed with good choices, and so each manufacturer is charged with making its entry stand out. 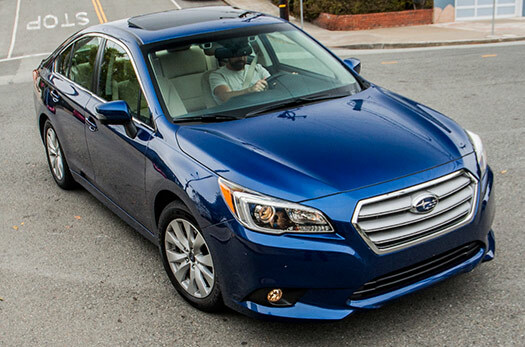 The revised-for-2015 Subaru Legacy has standard all-wheel drive, which might be reason enough for some to select it. Subaru’s push into pre-collision safety systems is another. And the love that Subaru refers to in its ads? 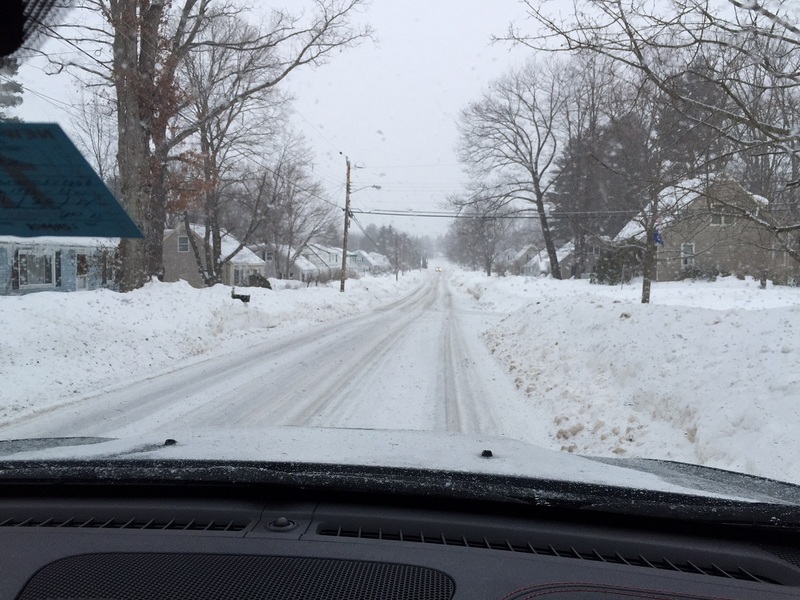 There’s some of that too, albeit not so much in the driving. Is that a bad thing? 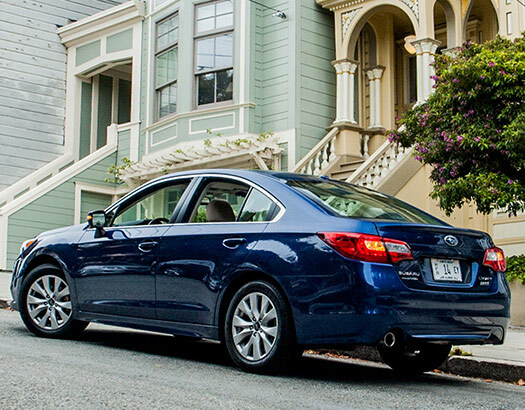 Most buyers looking for a family sedan would put personality far below factors such as roominess and safety, two areas that the revised 2015 Legacy aces. First, roominess. 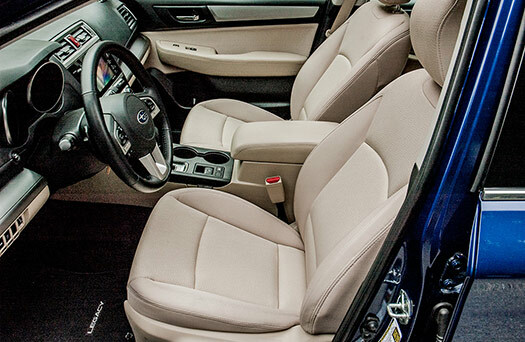 Subaru claims a cavernous 104.9 cubic feet of passenger room, in which Subaru eked out a cubic foot or two more than the Honda Accord and Volkswagen Passat. That space, along with the relatively glassy greenhouse and bright “Warm Ivory Cloth” upholstery, makes the Legacy feel big and airy. 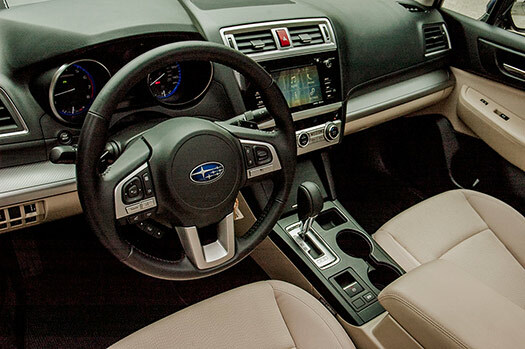 It’s also nice that Subaru kept the carpets black instead an easily-stained beige. Rear legroom is a particular emphasis in the mid-sized class, and the Legacy is competitive with its 38.1 inches, which is 0.4 inches short of the Accord’s and an inch off the class-leading Passat. Subaru’s other ace is safety. 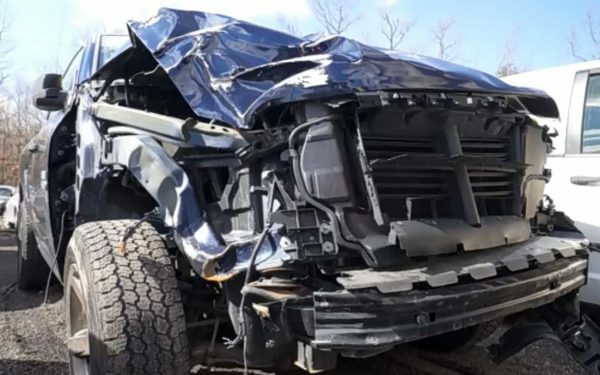 The Legacy’s strong showing in the IIHS’s (Insurance Institute for Highway Safety) punishing small-overlap test, along with its available crash-prevention technology, earned it a “Top Safety Pick+” rating, which makes you think the IIHS had to come up with a new rating for the safety measures the Legacy brings to the table. 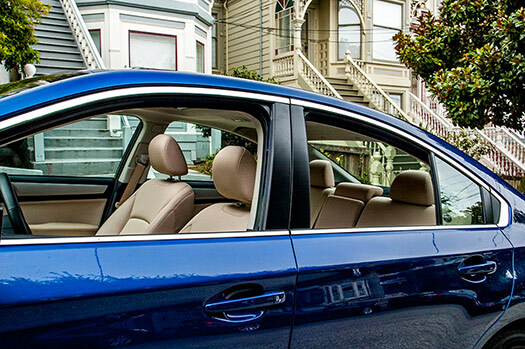 Primary among the Legacy’s crash prevention measures is EyeSight Driver Assist, which places two cameras above the interior rearview mirror and monitors the traffic ahead. If the cameras sense a potential collision, EyeSight will hit the brakes. EyeSight is available across the Subaru line, but it isn’t available on the base Legacy 2.5i – maybe budget buyers are more adept at braking? 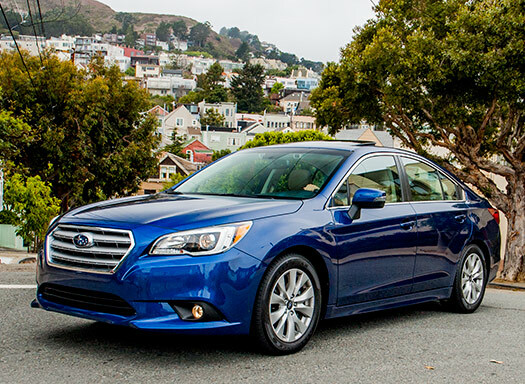 – and in the tested Legacy 2.5i Premium, EyeSight was grouped into a $2,890 package with the moonroof and other luxuries. EyeSight activated itself several times in the week I drove this Legacy, and each time, it was unhappy with the tight spaces ahead as I maneuvered through San Francisco’s boomtown construction zones. EyeSight didn’t rise to the level of the panic my videographer has shown while riding shotgun, and it was a surprise when it shut down my plan to sidle between a UPS truck and a mess of cones, but EyeSight quickly fell into the background as an unobtrusive nice-to-have. No reason why every mainstream car – and every distracted driver – shouldn’t have something like it. Otherwise, the Legacy falls in line with its competitors, with base prices on the four trim levels ranging from $22K to $30K. The first three trims come with a 2.5-liter four-cylinder engine, while the top 3.6R Limited has a six. All have a CVT automatic transmission, with no manual option. 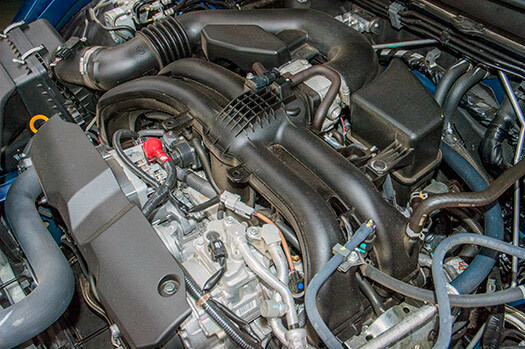 The four-cylinder paired with the CVT in our test car was snappy off the line – it picked right up and moved out. It will be impressive on the dealer test drive. It got muddier on the city’s steeper hills, where the slushy transmission response had us re-positioning the throttle several times as we fished for more thrust. 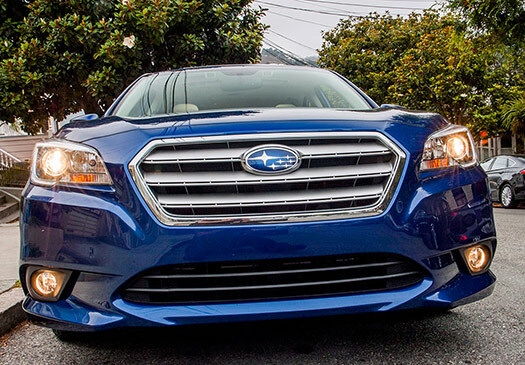 Handling with Subaru’s all-wheel drive showed the Legacy to be its usual stable self. Though its curb weight ends up heavier by about 300 pounds than the front-wheel drive Accord or Passat, the Legacy still felt like a lightweight, with a quick turn-in and an overall balanced feel. It’s not sporty, but the Legacy is game. Inside, the Legacy maintains its competitiveness with a responsive capacitive seven-inch center screen and a logical interface. Subaru’s new Starlink connectivity – which is also not available on the base trim – lets you run apps like iHeartRadio, and the company gets an extra atta-boy for continuing to include real knobs for easy adjustments. It must be noted that there was constant glare on that center screen. It can be a washout when you open the moonroof on a sunny day. This is of course the result of mounting a glossy screen at an upward angle with no shroud, and we wish Subaru had considered that in the design process. Subaru mentions ‘love’ in its ads, and that’s probably the biggest rub with the tested Legacy; the love people would have for it would be for the way it provides a roomy and safe environment for its passengers. Otherwise, the Legacy’s methodical “coupe-like” shape makes it indistinguishable from other sedans, and that darned CVT drains the sharpness from the driving. So in the Legacy’s case, we’d replace love with like and respect, particularly for the window it gives into the immediate future of safety systems.